Creating a family culture where respect is modeled, and mean words and behaviors are not tolerated. Parents have more power than they realize to prevent and stop bullying. Child-care providers and other caring adults are also in the position to “nip meanness in the bud,” and to teach pro-social skills. Parents have more power than anyone else to create a solid foundation for health and positive development. Parents have the authority to make rules to ensure survival, safety, and healthy connections. Parents have enormous power to promote respectful attitudes and behaviors, and to discourage disrespect and meanness. Parents have the ability to create a positive bully-free family climate based on respect, connection, belonging, and the Golden Rule. It is the job of caring adults to teach kids what is acceptable and not acceptable, what is right and what is wrong. It is their job to hold kids accountable. If kids can get away with bad behavior early on, they are more likely to lack empathy, to continue behaving badly, and to bully others when they are teens and adults. There has been enormous confusion in recent years, since certain “normal” parenting practices have been found to actually increase bullying! Parents with the best intentions are undermining the well-being of their children. Without realizing it, they are teaching the bullying dynamic! The sad truth is that bullying and other risky behaviors have deep roots in our history. This is compounded by profound cultural shifts that have been challenging families over the last two or three generations. Greater permissiveness in families and society, for example, plus the high tech tsunami and the commercialization of children all contribute to the bullying epidemic. Disrespect and incivility have been on the rise, while kindness, empathy, and courtesy have eroded. For more than thirty-five years, Dr. Dan Olweus studied the causes and solutions to aggression and violence. Contrary to popular belief, bullying behavior is not a “normal” behavior, nor is it “just a stage” that kids “get over.” Olweus also found that widespread childrearing practices are linked to the development of “hostile reaction patterns” and other antisocial behaviors in children. These three common patterns are found at all levels of income, and in all races. Negativity on the part of the primary caretaker. When a care-giver exhibits a negative emotional attitude instead of the warmth and involvement that healthy child development requires, children become emotionally insecure. This increases the risk that they will become aggressive and hostile toward others. Permissiveness of a child’s aggressive behavior. If the primary caregiver is generally permissive and does not set clear limits on aggressive speech and behavior, the child’s aggression level is likely to increase. Parents, therefore, are tacitly teaching that hostility and aggression are okay. Use of “power-assertive methods.” When parents don’t know what else to do, they commonly try to resolve conflict with power, aggression, and violent emotional outbursts. Children raised with spanking and physical punishment are more likely to become aggressive. They convey warmth and positive interest. They set firm limits for unacceptable behavior and enforce them. They use discipline positively and consistently when dealing with unacceptable behaviors and rule violations. As kids return to school, parents also must continue to educate themselves. All we do to prevent and curb bullying today will create respectful, bully-free homes and families tomorrow. 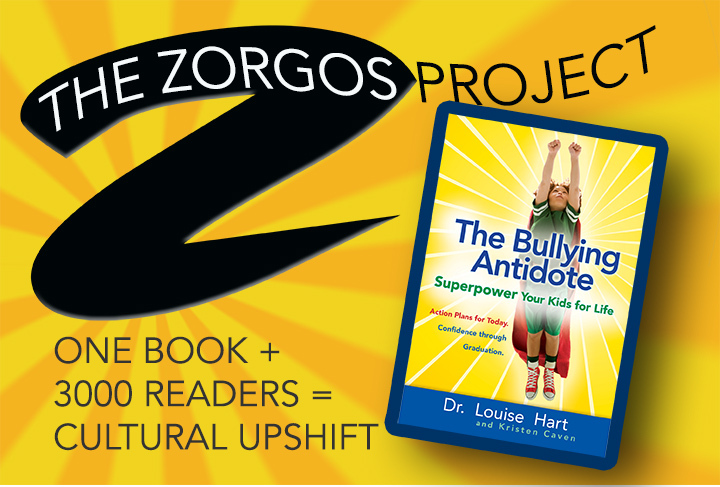 Dr. Louise Hart, Ed.D., an internationally recognized speaker, has a doctorate in the prevention-based field of community psychology. 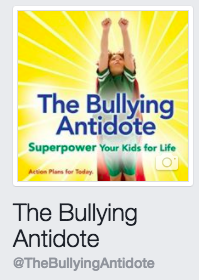 Her third book —The Bullying Antidote: Superpower Your Kids for Life, written with her daughter Kristen Caven — helps parents prevent and curb bullying in their children. She is a thought-leader in Positive Parenting. For more information visit drlouisehart.com. via A Return to School but Not to Bullying | HFM | Houston Family Magazine. This entry was posted in Articles, From the Authors and tagged middle school, positive parenting, psychology. Bookmark the permalink.